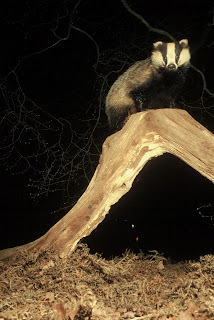 Forest of Dean Wildlife & Nature Diary: Thousands of Badgers to Die! Thousands of Badgers to Die! The Badger Trust has Lost its Appeal to Stop the Cull of Badgers in the West Country! Below are links to online petitions; repeated at end of post. The news many people and organisations have been dreading; the Badger Trust has lost its appeal to halt the cull of thousands of badgers across Gloucestershire and Somerset and Natural England is soon expected to issue licences to shoot free running badgers at night. 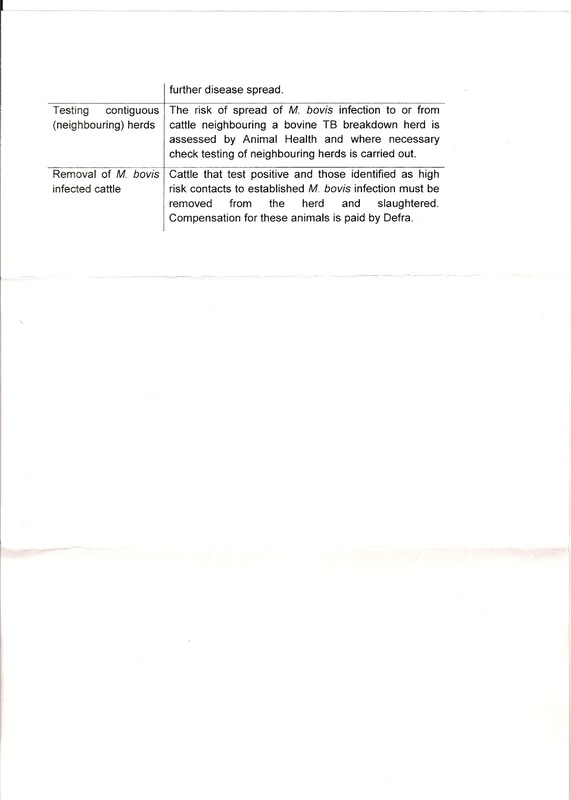 As this was an appeal, which was lost, the cull will commence this autumn unless a miracle happens. We have many powerful and knowledgeable people standing in the corner of the badger like Brian May, Sir David Attenborough and Simon King to name a few, but will this be enough? I don't think so, but as a nation we, the people have the power to stop this from happening. If enough of us stand together then anything is possible. People power stopped the sell off of our woodland as hundreds of thousands of people stood together and said "NO!" Does this shy, secretive and nocturnal animal not matter? 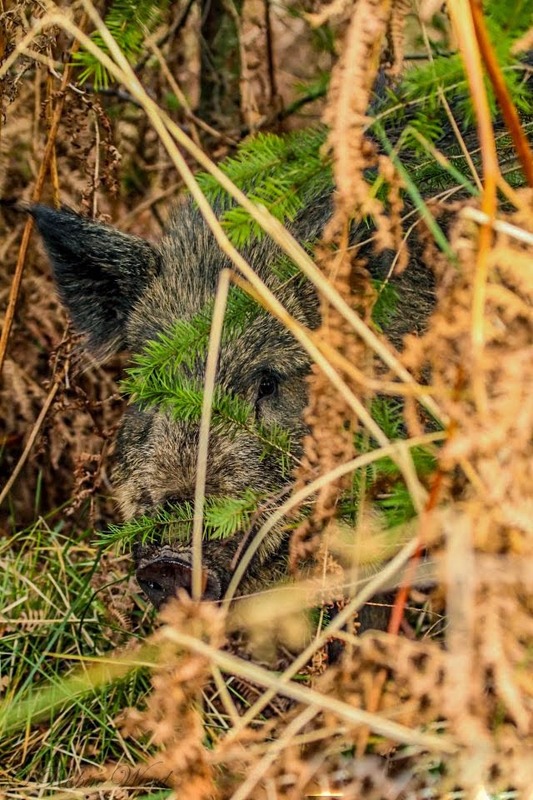 We fought long and hard to protect our woodlands, yet only the minority is willing to stand up to protect an amazing creature, which calls our forests and countryside its home. If we just sit back without caring, they will ravage our countryside and forests with development and death; destroying unique and diverse habitats on their way without giving a damn about the implications it will have on our eco-system. Our children and grandchildren have to grow up in the world we leave behind, and it is up to "us" to make sure it is a good one. 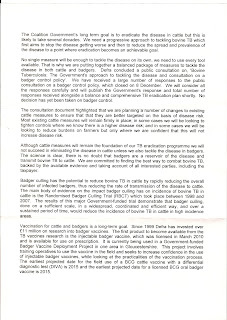 It is fact that killing 70% of the badger population in the designated areas will reduce bTB in cattle by just 16%. And it will take 9 years to complete, so where is the logic in this insane proposal? 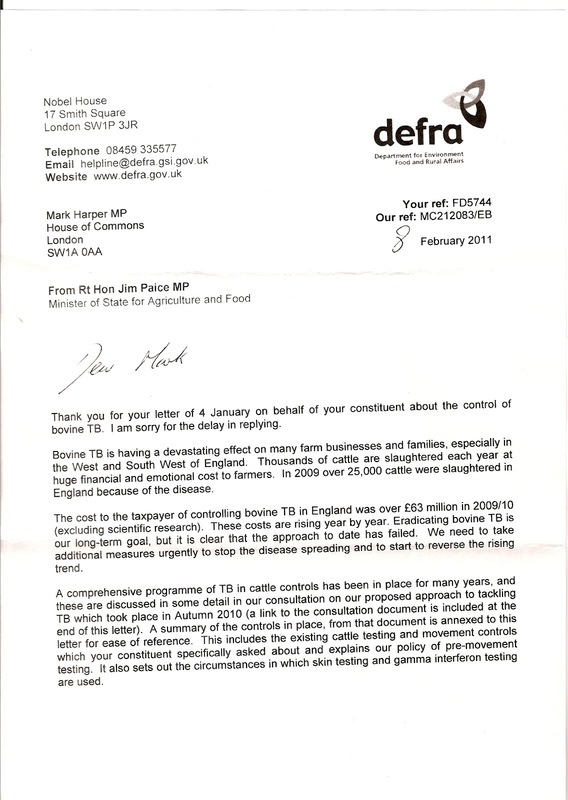 bTB must be tackled, but it must be tackled in a way that will see it eradicated throughout our countryside and forests. This disease can be carried by most mammals, including rodents, deer, fox and wild boar. All can and will enter farmland, so what are they going to do, kill all deer, fox, boar, mice and rats after they have finished with the badger? 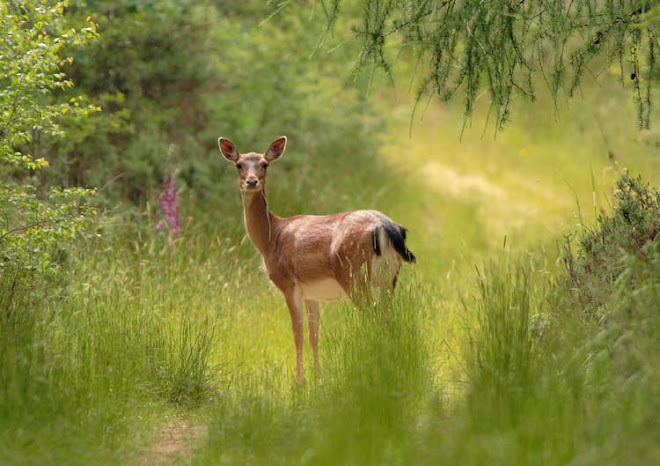 To target one species is discrimination, unjust and will only end in failure at the cost of two counties losing a valuable asset to our eco-system. The cull will see trained marksmen shooting free running badgers at night with high powered rifles and the bullets have the capability of travelling up to three miles. If this sounds insane to you, that's because it is and to top it off there will be no information as to when and where the shoots are to take place. So watch yourself if you use public footpaths at night, as you may find yourself on the receiving end on a missile, which will pass straight through you; killing you. 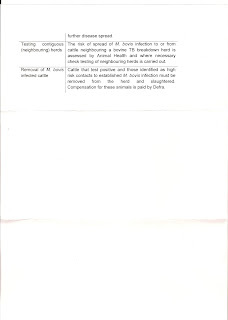 Night time cull trials have been tested in the past and in one incident a marksman tragically killed his grandson! One reason why scientists have spoken out against this cull is because of the Perturbation Effect. What is the Perturbation Effect? Badgers live in social groups and when disrupted or if the badgers feel their life is in danger, they will flee the sett in search of safer ground. 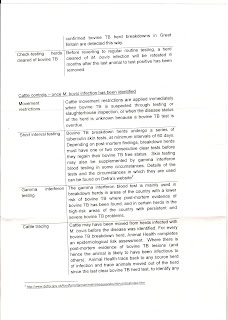 If any of the fleeing badgers are indeed infected with bTB, they will carry and transmit the disease over a wider area. See links below for full details. What is the alternative to culling? Vaccination! 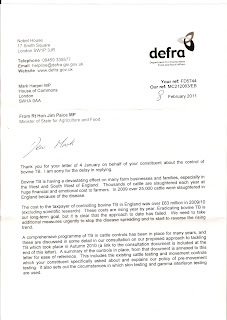 DEFRA has spent years and millions of pounds developing a vaccine, yet they have shelved it in favour of a cull. 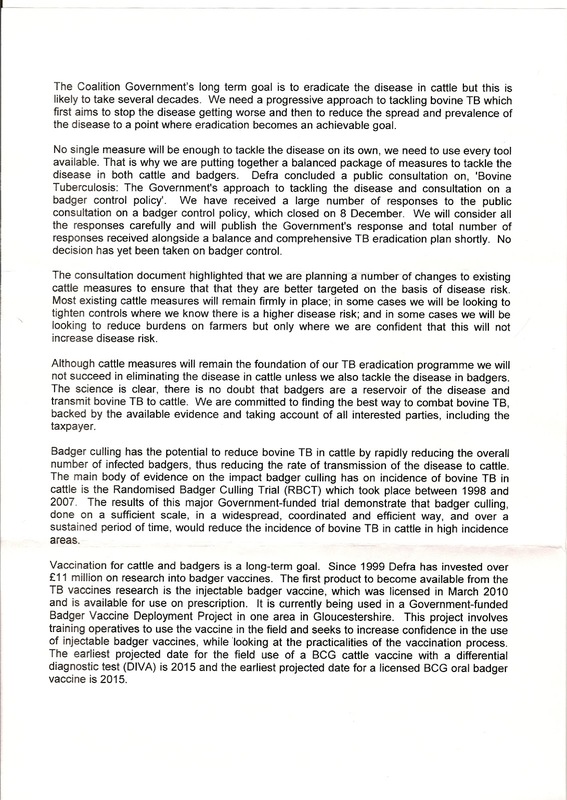 Many believe that by vaccinating both badgers and cattle, it will help eradicate this disease and lets be honest, the human race itself is vaccinated against multiple diseases and we did this without a mass cull of human beings; unless you count the many wars we have seen! 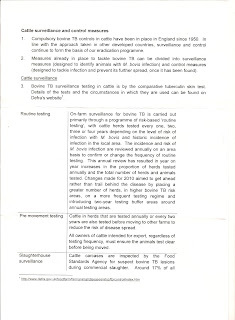 First we must get this disease under control, once under control we can work towards eradicating it. By killing just one species will not help us reach this goal and this is why we must all stand up to help stop this cull. If you disagree with the badger cull and want to help, please click on the links below and sign the petitions. Many thanks. And if you don't believe me, you can hear it from the experts! 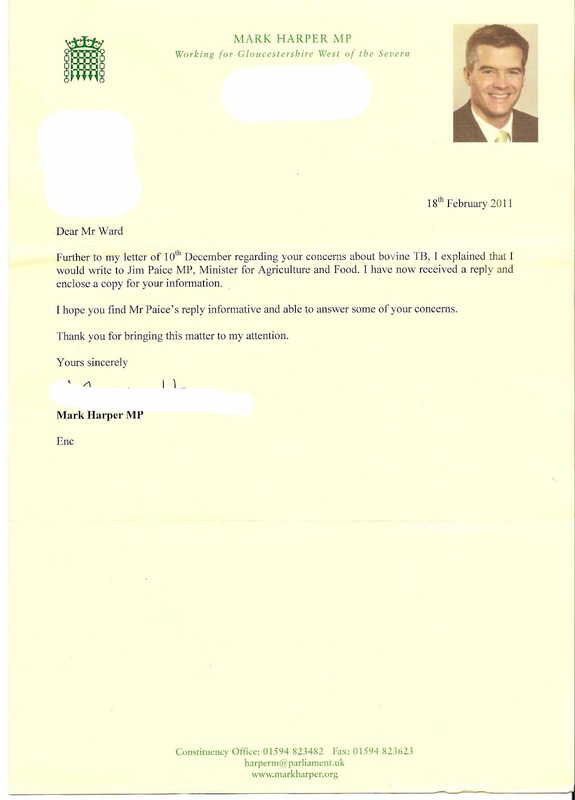 In 2010 I wrote to my local MP regarding my concerns over the proposed badger cull and what measures were in place and being implemented to help stop the progression of bTB. 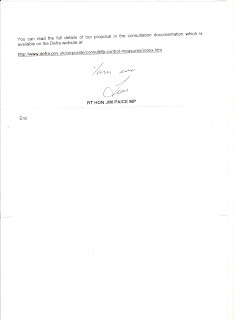 He then forwarded my letter onto Jim Paice. 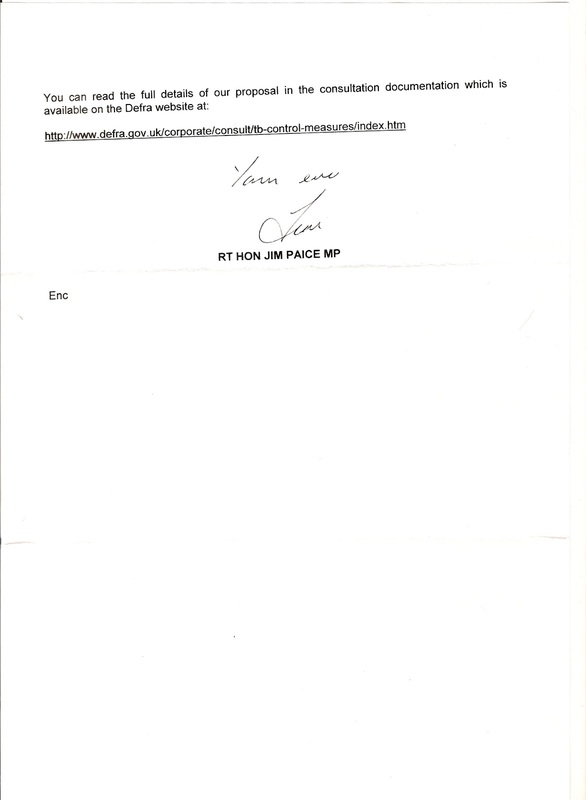 Jim Paice replied to me in 2011 through my local MP with a 6 page reply. Please see below. 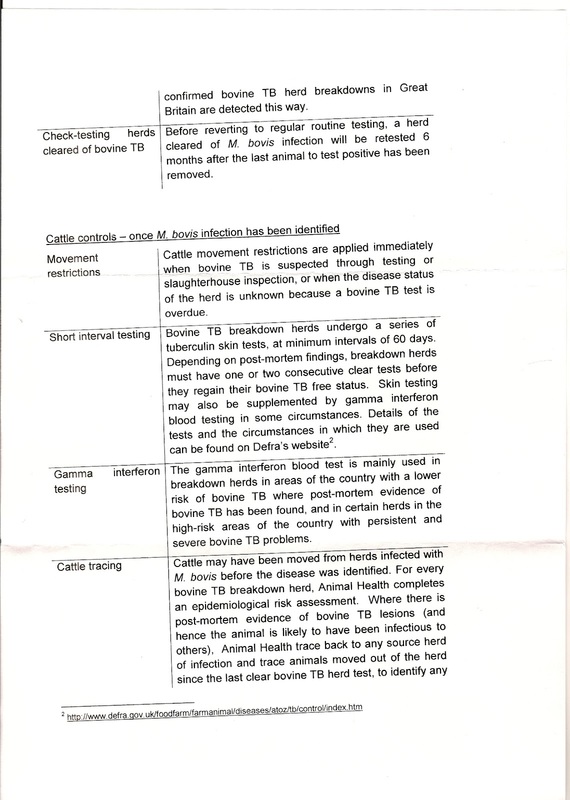 Even South Africa has a bTB vaccination programme for its cattle farmers so I really don't see why we can't...it's a disgrace! 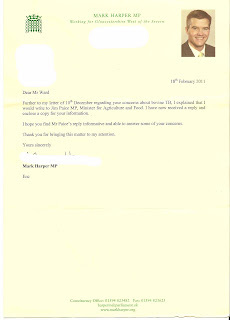 I have posted up a bit on my 'humble' blog bringing this to people's attention. Every little helps. New Website - Check it Out! 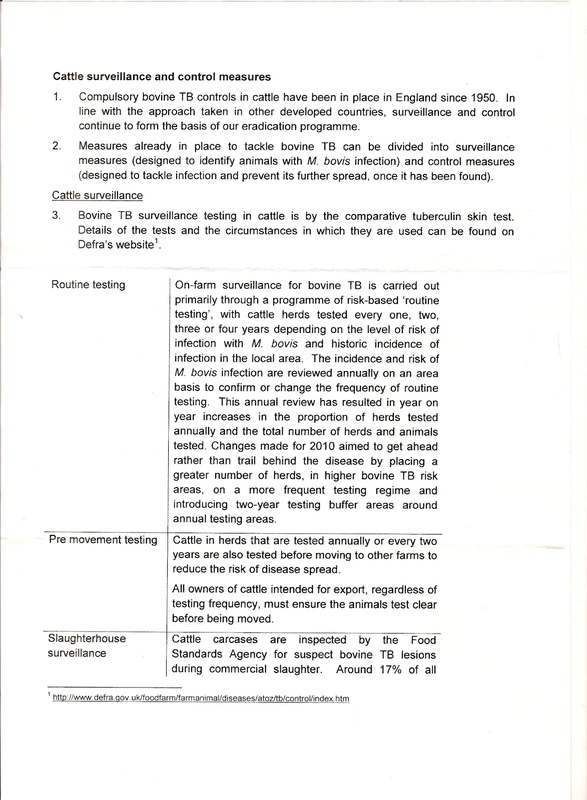 Why Aren't We Vaccinating Cattle?